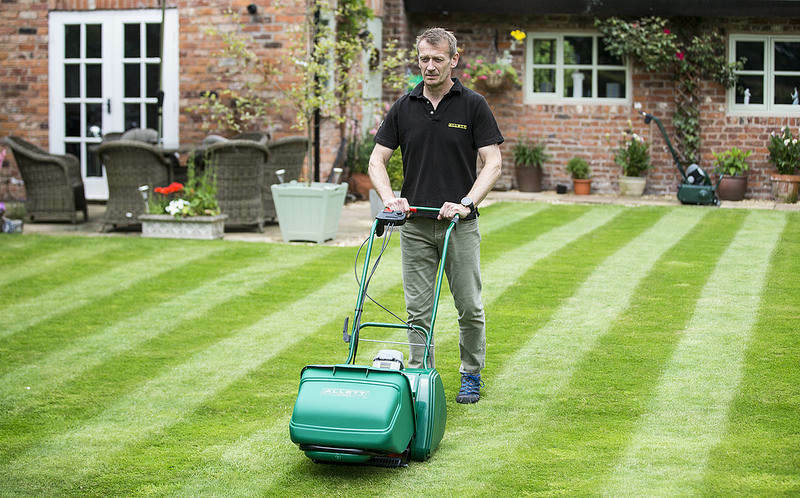 Whilst you’ve been enjoying the unusually hot weather that the UK has been graced with over the last few months, you’ve likely noticed that your grass is having a hard time. The prolonged dry weather has affected much of the UK with hosepipe bans discussed and even introduced in some places. 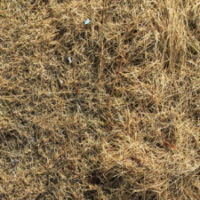 As a result, the majority of lawns have suffered, turning limp and brown. Although the grass appears to be dead in places, it’s normally salvageable with some care and a break in the dry weather. In this blog post, we’ll provide you with some useful hints and tips that will help you to care for your grass following a prolonged dry period or drought. After periods of prolonged dryness, it’s normal for the ground to be very hard. This means that any water that goes on your garden will sit on the surface until it is slowly absorbed into the soil to reach the roots. It is, however, possible to alleviate this problem by aerating the ground. Aeration is essentially the process of putting holes into the ground, providing channels for water to travel into. This gives the water a more direct path to the roots allowing it to be used faster. When it comes to aeration there are a few options. If you have a very small lawn, you can opt to use a crude form of aeration by putting holes into the lawn with a garden fork. This does need to be done carefully, so as not to pull up chunks of turf, but if done correctly is perfectly adequate. The other option is to either use a manual or powered lawn aerator. These tools allow you to aerate a much larger area more quickly and using a powered option will mean it requires even less effort. As we’ve alluded to in the point above, dry soil won’t soak up water very well. Dry soil acts more like concrete with the majority of water running off it, rather than being absorbed. 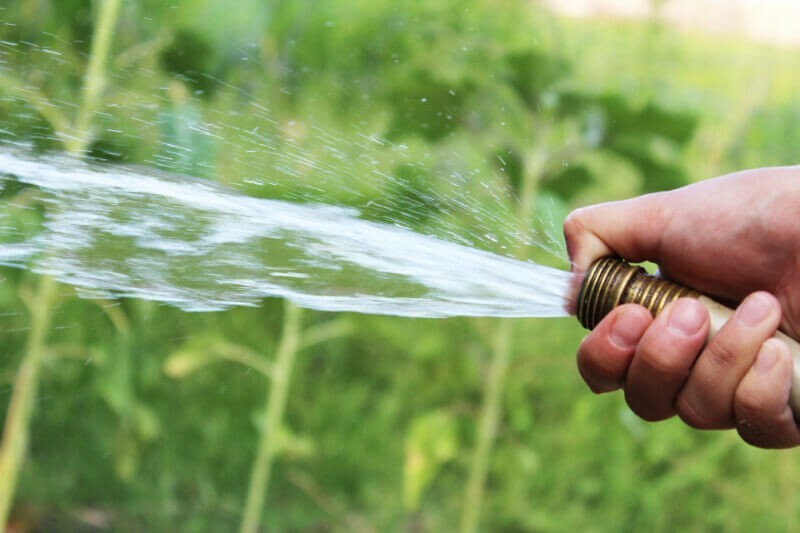 The key to watering after prolonged dry spells is to water little and often. By doing this you give the water a chance to soak in before adding more, reducing water wastage. Fertilising your lawn with a high quality fertiliser will help to promote healthy growth in your lawn following a drought. If there is still a chance of hot weather returning, it’s best to ensure that your chosen fertiliser isn’t high-nitrogen. High levels of nitrogen will cause your grass to require more water, which will cause issues in periods of low rainfall. Removing weeds reduces the water and nutrient competition for the grass giving it a better chance of getting everything it requires to grow well. It’s important to note that you should treat individual weeds rather than the whole area. Removing the weeds also sets you up well to ensure that your lawn looks great as it returns to health. By following the advice above your lawn should be well on its way to recovery. It’s important to acknowledge that continued maintenance will be required, to ensure that your lawn continues to have the moisture it requires as well as regular mowing and thatching. For advice on lawn care methods and machinery contact the team at The Mower Shop. They have decades of experience and will be able to provide you with advice and recommendations on everything from seed spreaders to the latest aerators. Call them on 01788 510 453 or pop into their store in West Haddon.